Vindhyachal Navratri Mela held during the Chaitra Navratri (March – April) and Ashwin Navratri (September – October) attracts millions of devotees. Vindhyachal Chaitra Navratri Mela is from April 6 to April 14, 2019. Ashwin Navratri mela is from September 29 to October 7, 2019. Vindhyavasini Devi Temple is located in Vindhyachal, 8 km from Mirzapur in Uttar Pradesh, on the banks of River Ganga. It is one of the most sacred temples dedicated to Goddess Shakti and the presiding deity is Vindhyavasini Devi. During the Navratri Mela special pujas are held at the temple. The presiding deity in the temple is adorned in different forms. The popular belief is that darshan of Maa Vindhyavasini during Navratri is highly meritorious. 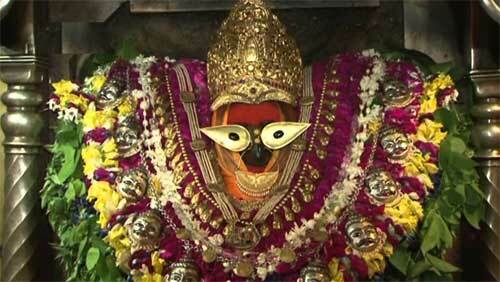 It is also believed that the Goddess is in a happy mood during the period and fulfills the desires of devotees.